Dilemma. It's already January 6th and you still haven't sent your Christmas cards. You're still getting a few stragglers in the mail from your procrastinator friends. However, you probably feel guilty for calling them procrastinators since they managed to get theirs in the mail and you haven't. 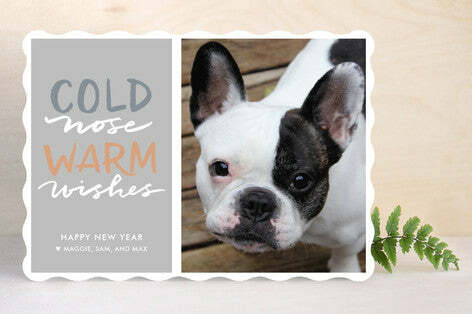 Why not send a New Years card (or a New Years gift!) instead? This is becoming more and more popular. Each year, there seems to be more and more adorable choices in this category when shopping around online. Here are some of my personal favorites. They avoid the use of Christmas colors and instead have a fresh, modern look that symbolizes the optimism of a brand new year. Plus, these will make you look like a true trendsetter rather than the "late holiday card sender" who can't quite get their act together. Trust me, I've been there! I admit that this design semi resembles a holiday card. However, I can't help but fall in love with the modern text and, plus, gold glitter is usually a must. Love the cheerful, friendly font in this card. It has a modern, yet approachable, feel that is sure to get your friends and family feeling optimistic about 2015. Geometric shapes with light teal text on a white background is so fresh and modern. 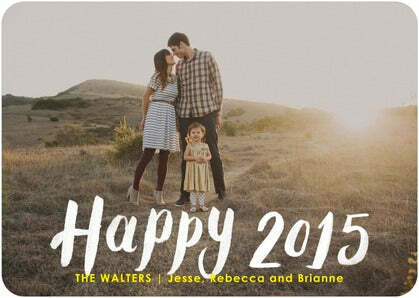 With this design, they'll definitely think you planned to send the New Years card all along. Love the way the photo fits inside the '15'! This is modern, friendly and fun. And no Christmas colors here! 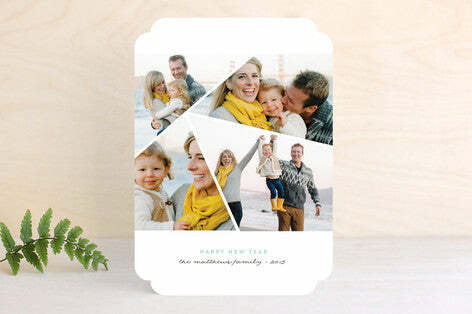 Didn't have time to snap the perfect photo for your cards? Don't fret. Everyone loves a picture of the family pet! I was delighted to discover an increase in the number of pet-only options out there as well. 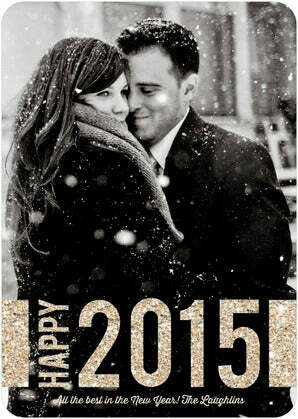 Who sent New Years cards this year for the first time? Let us know how it went! If you would like to send a sweet gift with a customized note, hop over here!